This lovely Lavender Vera wand is at the perfect stage for picking and drying. After the dew has dried and before the hot sun hits, cut your wands and lay them on screens or hang them in groups in a cool dark spot to dry. Store in an airtight container for later use. At one time Lavandula Vera was botanically called Lavandula officinalis. The officinalis refers to the designation as an official plant used in medicine. This term is no longer used in conjunction with Lavandula and has been replaced with the term angustifolia. Vera is thought to be one of the original species lavenders. However, the seeds that have been spread throughout the world, often have different colored flowers and slightly different chemical constituencies. Much of the Lavender Vera harvested for distillation is grown in Bulgaria. During June and July the fresh lavender sprays are harvested and the oil extracted to make Lavender absolute, a wonderfully fragrant and powerful yellow green liquid. This plant is often available in plug trays. These trays hold 128 of all the same plant. They are a great low cost way to fill a lot of space. Each cell is 3/4 of inch by an inch. Check here to see if Lavender Vera Plug Trays are available. 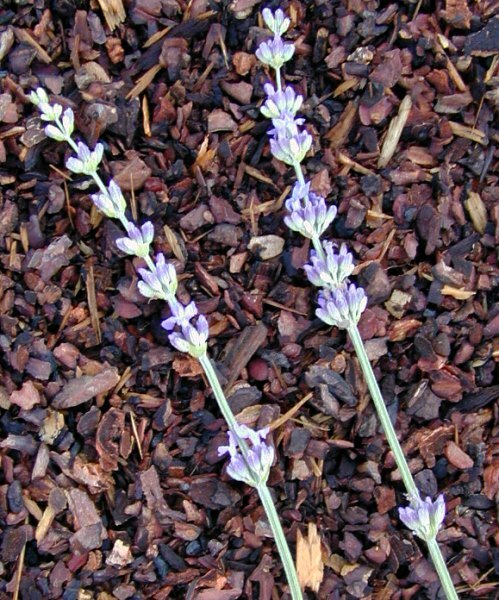 Lavender Vera makes a great addition to our Zone 5-11 Fragrant Herb Garden Six Pack.